We're showing information for 78596. Consumers are smart. They do their research and only enter relationships with the companies they consider to be leaders in their industry, which means competition throughout the greater Texas area is relatively stiff. Having a fast, reliable Internet connection can give your Weslaco, Texas business a hand up on the competition. Get a Frontier Business package to outfit your business with phone and Internet services—including Business High Speed Internet—and stay in touch with your customers whenever you need. A company that wants to thrive needs state-of-the-art tools, particularly in an area as competitive as The Lone Star State. With the job-growth rate projected to hit an average of 31.22 percent throughout Weslaco, you’re not just competing for customers—you’re fighting for top talent, too. Luckily, Frontier’s services for small businesses have features with the power and scope you’ll need to communicate with clients, engage new employees, and build partnerships with other companies. Support sales and promotions with Texting. Stay in touch with your team, even when you’re out of the office, with Conferencing. Protect your data and keep it readily available with Managed IT. And establish a strong online presence with Web Development and Hosting. Frontier’s Enterprise Solutions were designed specifically to help large businesses across Texas navigate the unique challenges of growth and expansion, while maintaining a sense of consistency that is essential for longevity. This is important because as businesses enter into the transitional phases of development, they often face unexpected obstacles that could make or break an entire company. An IP Virtual Private Network will give your growing company more secure access to digital assets, and scalable Ethernet systems will help ensure that your changing bandwidth and connectivity needs are satisfied. Of course, Weslaco companies must consider requirements beyond scalability. Connection and dependability also rank high among pressing interests. 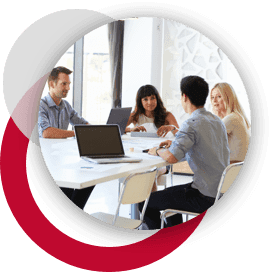 Frontier Communications has many products and services to keep you and your customers connected. 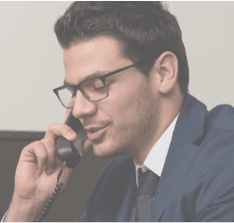 Try the Hosted VoIP solution, which delivers stellar sound quality using Frontier voice solutions, as well as features such as Caller ID, Voicemail, unlimited nationwide calling, and the latest technologies, such as voice-to-email integration. Contact customers all over your area with Centrex from Frontier. It gives you top-quality, easy-to-use phones that include a number of advanced features. Frontier handles all the details such as equipment, network design, hosting, and monitoring, so you can put all of your energy into ensuring your customers’ needs are met. Regardless what industry you are in, from Finance to Hospitality, your customers and potential customers want to be able to get in touch easily and efficiently. They expect to interact with your employees online, in person, and over the phone; and they tend to remain loyal to businesses that provide the resources to make these interactions simple and efficient. Frontier provides your company with dependable customer service, up-to-date infrastructure, and advanced equipment. And since Frontier's services are catered to specific industries, it is easier than ever to communicate with your employees and customers. Want to make sure your business isn’t derailed by cybercrime? According to the data, there were 0 cybercrimes in Texas in 2013. That’s why it’s so important to make sure your business is protected!. Frontier Secure is ready to provide you with the cloud backup, malware and virus protection, and technical support you need to keep your business safe. Frontier also offers equipment replacement programs, so you can take every necessary measure to keep your Texas business secure and successful. Internet security is important, but it isn’t enough if you don’t have the speed necessary to keep your business running efficiently. Frontier’s Internet solutions deliver lightning-fast connections, meaning you can waste less time waiting on sluggish Internet and freeing up time to reach out to potential customers. In fact, Frontier offers speeds of up to . Call today to learn more about the security and communication solutions that Frontier offers to local businesses in your area!